Goa is a great place for tourist and Indian peoples as well as India foreign with pleasant beach, weather, food, entertainment, drinks and friendly people. 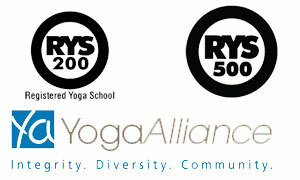 Yoga teacher training in Goa is an excellent way to make people peaceful of mind. Arambol and Mandrem are beautiful beaches in North Goa. It is a part of the Arabian Sea with brown sands, heaven scenery naturally. Goa is first place for visitors and spiritual seekers with beautiful beaches. People can reach Goa in 35 minutes from the beach. Goa has plenty of restaurants, market, shopping center and bars. Goa is a crowded city with different artist, musician, traveler and spiritual seeker. Goa is the ideal place to practice yoga in order to create green life and peace of mind. Most people are joining yoga teacher training in Goa enjoyable and comfortable with different workshop, music lesson, massage course, drum course, meditation, kite surfing and other activities. 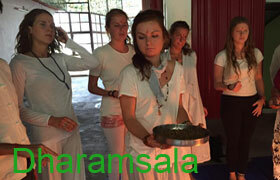 Many people around the world come to Goa as well as Indian people to learn and practice yoga. In Goa, you will find and see a great spiritual seeker, guru, yoga master and yoga practitioner with different ages and experiences. Most of them are practicing yoga to improve their health condition, experience and reduce stress level through meditation, self-introspection and asana. There is international airport Dabolim. It is located 67 Km from Arambol beach. Many Indian airlines are opening executive flights from Mumbai, Delhi and Chennai daily. Goa has 2 main stations in Vasco station and Margao station. Margao and Vasco d gamma are connected by train with Belgaum, Hospet, Bangalore, Hyderabad and Miraj to Agra, Delhi and Bombay. Goa is well city connected by NH17A with Karnataka and Maharashtra state. There is regular bus service available from Kadamba bus Patanji to Bangalore, Hampi and Mumbai. The buses are available frequently from Arambol and Panjim on every 30 minutes until noon and every 90 minutes after between Arambol and Mapusa in 3 hours.